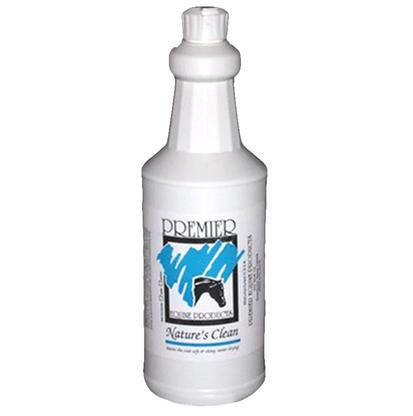 Remove dirt and built up salts from your horses skin and hair with a natural equine shampoo that was designed with performance horses in mind. Getting your horse clean and conditioned can help prevent skin irritation and problems such as hot spots, girth itch, and fungus. 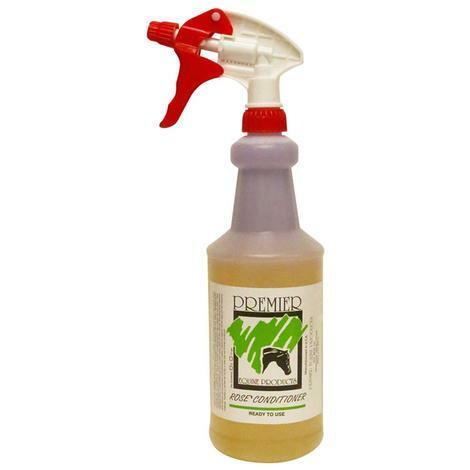 This horse shampoo opens up the pore structure to enhance cleaning and allows the skin to breath. The hint of pine oil and the gentle pH balance allows this shampoo to be used as frequently as needed, even multiple times a day. 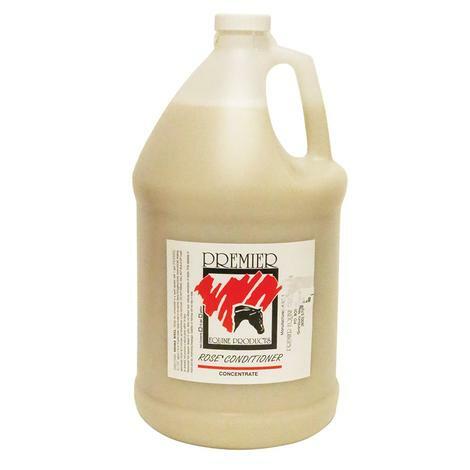 Premier Rose Conditioner Concentrate 32 oz. 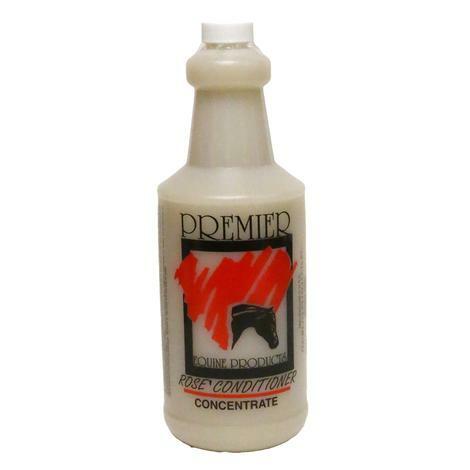 Premier Rose Conditioner is a leave-in skin and hair conditioner. Developed for the entire body, mane and tail, the conditioner provides a moisture lock to ensure the most beautiful hair coat attainable. It also eliminates static electricity that attracts dust, adds elasticity to minimize breakage, keeps tack from slipping, and creates a wet look shine with no drying silicone.